For the test drives from April 2018 onwards the model EZ10 of the French manufacturer EasyMile is used. 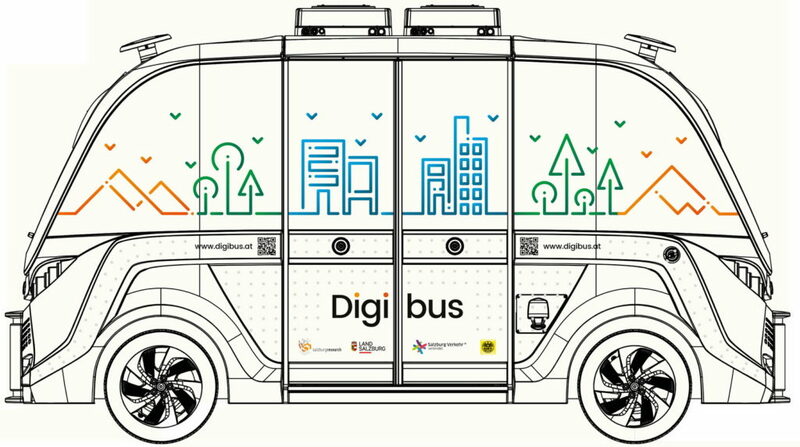 During the first test drives in Salzburg’s old town in October 2016, the prototype NAVYA Arma DL3 drove. For the further test series in Salzburg between May and November 2017, the successor model NAVYA Arma DL4 was used. 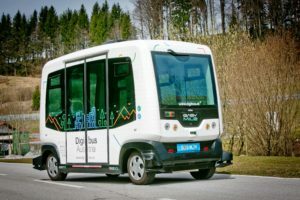 The prototype NAVYA Arma DL3 was the first test drive in Salzburg’s old town in October 2016. The successor model NAVYA Arma DL4 is used for the further test series in Salzburg since May 2017.